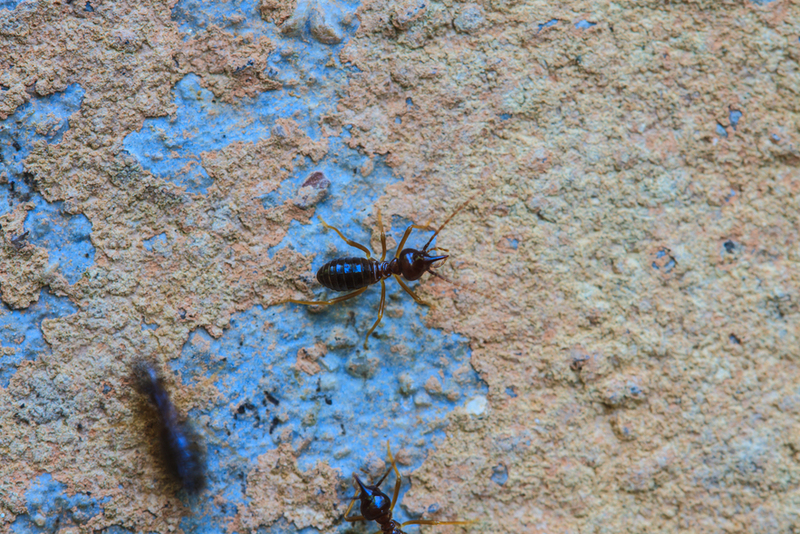 Termites are tiny and similar in size to ants – which often leads to confusion. They can be hard to see; more often you find the signs of damage before you spot the pests themselves. Termites are a Structural Pest. If you find evidence of these bugs, you need your home or structure treated. A Home Inspection would be the first step in this process. If you do have these pests, a treatment plan is necessary. You might first see the winged termites in the spring. You could also see mud tubes. They’re made of soil and droppings and look just like a tube of mud about the size of a pencil. They have a straight antenna as opposed to ants that have an elbowed antennae and their wings are twice the length of their body. To prevent termites you treat or remove moisture rich environments, stored firewood, mulch and wood chips away from your home or structure. Look for mud tubes on exterior basement walls. They are easy to spot with the naked eye. If you have an issue with subterranean termites and want additional information, please call our office for prevention and treatment options.